Home » Today » Does hair dye cause cancer? Does hair dye cause cancer? Many women use hair dye, but is it a health risk? 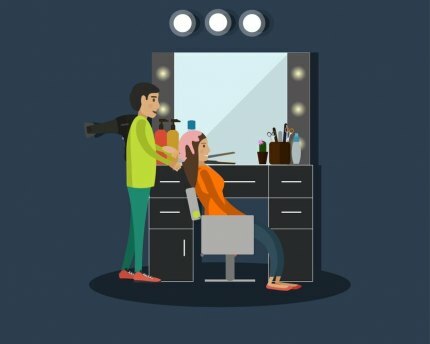 Dear EarthTalk: My hairdresser was just diagnosed with leukemia and I wonder if there is a link between the chemicals in hair dye and cancer? The short answer is maybe. Scientists have found links between certain types of cancer and repeated exposure to so-called permanent hair dyes--the kind that you get in the hair salon and stays put until the hair is replaced by new growth. These dyes contain a cocktail of potentially harmful substances, including formaldehyde (linked to cancer and fetal damage in utero), p-Phenylenediamine (lung and kidney problems, bladder cancer), DMDM Hydantoin (an immunotoxin restricted in other countries but not the U.S.), ammonia (respiratory problems and asthma), coal tar (a known carcinogen), resorcinol (a hormone disruptor) and eugenol (cancer, allergies, and immune and neurological issues). These dyes penetrate and bind with hair shafts; darker dyes require more of the potentially harmful coloring agents and are therefore more dangerous. Three-quarters of adult women in the U.S. color their hair, but it’s the hair care workers, exposed to noxious chemicals daily, who are most at risk. According to the American Cancer Society, some studies have shown that hairdressers, stylists and barbers who work with these dyes do indeed have a slightly elevated risk of developing bladder cancer, leukemia or non-Hodgkin lymphoma, while others proved inconclusive. If working with hair is your job, you might want to consider limiting your exposure to permanent hair dyes, or at least look for safer alternatives, even if they don’t last as long. A good place to start is the Hair Color and Bleaching section of the free online Skin Deep database, launched in 2004 by the nonprofit Environmental Working Group to provide information on the ingredients of common household cleaning items and health and beauty products—and to highlight potential hazards and health concerns. The database contains listings for hundreds of hair color products -- both for at-home use and in salons -- that won’t make you sick. Some favorite all-natural, nontoxic brands include EcoColors, Hairprint, Organic & Mineral, Logona, Good Dye Young and Naturigin. Another way to avoid potentially dangerous hair color treatments is to just get over your misplaced vanity and accept your natural hair color—even if it’s gray—as a beautiful expression of who you are and what you stand for in the increasingly manicured, colorized and fabricated world we now inhabit. This column was reprinted with permission. EarthTalk is produced by Roddy Scheer and Doug Moss and is a registered trademark of the nonprofit Earth Action Network. To donate, visit www.earthtalk.org. Send questions to: question@earthtalk.org. If you would like to comment, like us on Facebook and tell us what you think. Yesterday, Today & Tomorrow: History Matters!